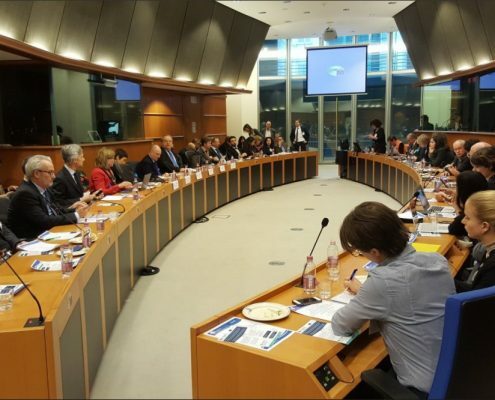 The event, which was chaired by Member of the European Parliament (MEP) Patrizia Toia (S&D, Italy), was the first opportunity for project consortium representatives to publicly present the concept and objectives of TO-REACH to the Brussels-based EU health policy audience. Walter Ricciardi, Principal Investigator of the project and President of the National Institute of Health of Italy (Istituto Superiore di Sanità ISS), together with Ellen Nolte, European Observatory on Health Systems and Policies, and Natasha Azzopardi Muscat, President of the European Public Health Association, outlined the main aspects of TO-REACH. The TO-REACH Consortium is funded through Horizon 2020 and made up of 28 partners drawn from 13 EU Member States and 5 non-EU Countries including Governmental, funding bodies, national research organisations and EU level bodies. The Consortium aims to develop a joint European research programme focused on producing research evidence to support health care services and systems to become more resilient, effective, equitable, accessible, sustainable and comprehensive. Partners will oversee the production of a Strategic Research Agenda, recognising common priorities areas to advance cross national learning across Europe, identifying novel solutions able to respond to shared challenges, and understanding whether such solutions can be implemented and transferred in other settings. TO-REACH will also work towards the creation of a broad coalition of committed Member States and funding bodies. 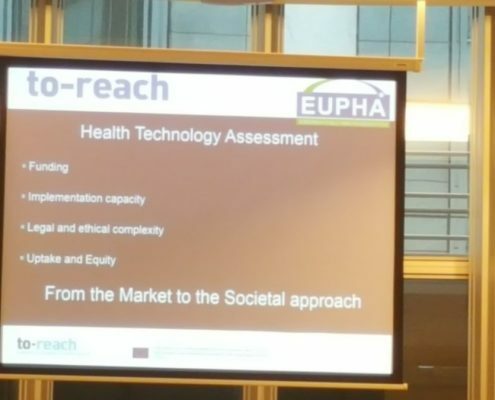 Touching upon the issue of Health Technology Assessments (HTA), Johan Prevot, IPOPI’s Executive Director outlined the need to take into account different contexts and societal impact in HTA assessments of rare diseases therapies and asked on how TO-REACH intends to intertwine with other EU programmes such as EUNetHTA. Professor Ricciardi responded this was a key point being discussed with the EU Commission and at the core of the initiative. John Bowis, HFE, highlighted the importance of patient organisations’ involvement in an initiative such as TO-REACH. The workshop allowed for a lively high-level discussion to take place and which will feed into both ongoing and future project work.